If you are interested in purchasing any of our books please click on the link below the picture of the cover. 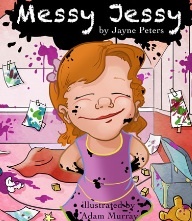 Messy Jessy Gets Active is available through Amazon by clicking here. Pensées papillonnantes is available through Amazon by clicking here. Whispering Wings can be purchased at Amazon by clicking here. It is also available through The Virtues Shop. Watch a trailer for Whispering Wings by clicking here. Anything Can Happen in Mrs. Whynot’s Room is also available on Amazon. The original Messy Jessy is available for purchase by contacting us here.